Apparently on sale at National Trust sites are mugs with this marking underneath. Thanks Katherine S for the pointer. 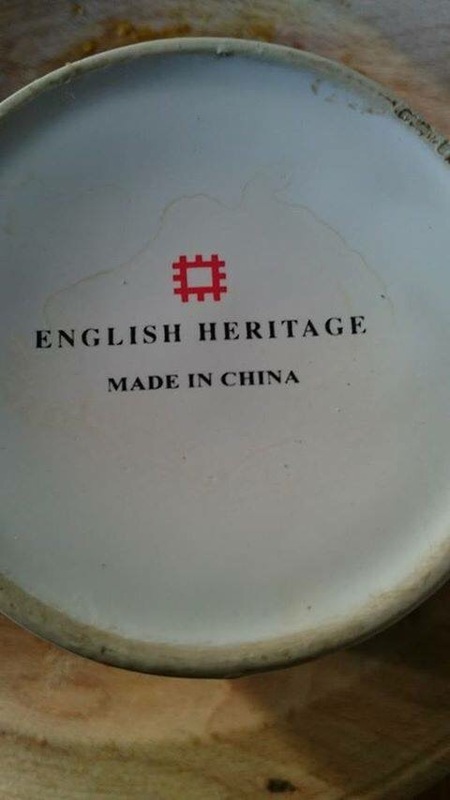 My view is to welcome this as an historically accurate statement – English heritage was made in China, also known as profiting from the Opium trade. First time I’ve seen this NatTru admission but it has to be welcomed. There was no-one willing to discuss this at Powis Castle (home of Lord Clive) when we visited.